In 2016 a small group of us set up a new small press, Landing Press. 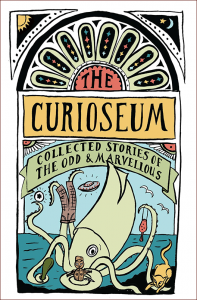 It’s a small collaborative press run by Milena Stoysavljevic, Carina Gallegos, and me. Milena brings a lot of experience of publishing in Serbia, and Carina is an excellent writer herself. My experience in setting up Escalator Press was very useful in setting up this new press, and we’re all delighted at how our first publication, Keel and Drift, is going. In the midst of doom and gloom about some aspects of publishing, I think there are great opportunities for small presses. Big changes in printing technology have made small print runs economic, and of course there’s the ebook market – though I don’t think poetry is a big seller as an ebook! But it’s all going well, and our next book is in the pipeline. In October 2015, Mary-Jane Duffy, my colleague on the Whitireia Writing Programme, and I spent two weeks in Java,Indonesia. This was part of a literary project aimed at producing more picture books for Indonesian children based on stories and situations and things which were familiar to them. The project was sponsored by Whitireia, which collaborated with a partner organization, Himpaudi, an early childhood teachers’ organisation. It was supported by the Indonesian Ministry of Education. We ran a six-day writing workshop in Semarang, in Central Java, for about 30, mostly early childhood teachers. They were a wonderful workshop group – enthusiastic, funny, great story-tellers, and very hard workers. We developed a model for encouraging children to come up with ideas (partly to present an alternative to the strong local belief that a story has to have a moral teaching in it), and the workshop participants trialled the model in several early childhood centres. These ranged from a mosque-based centre to an international centre. Hopefully the project will be ongoing. In May 2015, I was the writer (and part curator) for an exhibition in George Town, Penang, in Malaysia, The Crescent Moon exhibition (about Asian Muslims in NZ, for which I wrote the text) was going to the George Town arts festival, and the festival organisers wanted a companion exhibition, in the same style, based on a local community. So the new exhibition was about the Indian Muslim community in George Town. I spent two weeks living in the heart of the historical part of George Town, working with a local photographer and researcher and a team of people from the community and the festival. I interviewed more than 30 people and wrote the text to accompany a photograph of each. My Te Papa skills were very valuable. I felt extraordinarily lucky to have this experience. In July/August I went back to Penang to finish the exhibition and attend the opening (thanks to the continuing generosity of the Asia NZ Foundation, which sponsored the project). 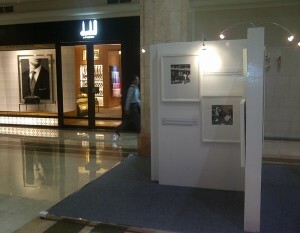 The exhibition was shown alongside a selection from The Crescent Moon New Zealand exhibition. I hadn’t realized how differently the NZ text would read in a new setting. Text that I thought would at least be eye-opening for New Zealanders here, was very challenging for readers there. It was all illuminating. 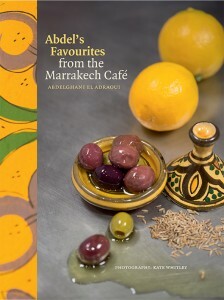 Abdel’s Favourites has hit the market, and it’s such a beautiful book. I’ve had my marketing hat on for a few weeks now. First for The Score — I’ve never been great at marketing my own work, but when there’s something bigger at stake, like a new press, you really drive it along! And now the cookbook — last week a stall at the Hataitai market, this week selling to the staff at Te Papa. But the publishing team did a wonderful job promoting it. I feel very proud to be part of that project. September 2013 saw the launch of The Score and brand-new publishing house Escalator Press, and the 20th anniversary of the Whitireia Creative Writing Programme. Quite a lot to celebrate all at once! It’s brash, setting up a new press these days when publishing is in such a state of change. But we (small Escalator Press group) think there are real opportunities. We’re using a totally new funding and operating model, and The Score is a kind of guinea pig. But it’s all going really well, and it’s very exciting. How come I ended up co-writing a cookbook? Well, I had known Abdel El Adraoui and his wife Zahra for a long time. Abdel is the owner/chef of the Marrakech Café in Evans Bay, Wellington, and he’d been talking for a few years about writing a Moroccan cookbook, so finally I said let’s do it. The idea from the start was to do a cookbook for New Zealanders who love Moroccan food, and want to cook simply and shop in their local supermarket (only one ingredient in the book can’t be found in a supermarket). I thought we’d take the idea to a publisher, but after I had a long talk with a publisher we decided we could do it ourselves. At the beginning of 2013 we assembled a great team. Kate Whitley offered to do the photographs (you just have to open the book to see what a fine photographer she is), Anna Brown was the book designer (just open the book to see her wonderful design) and a group of students from the excellent Publishing Programme at Whitireia Polytechnic did the book production. It’s one thing to cook out of your head for a café – it’s another thing to get all those recipes down in writing, for 4 or 6 people. We all cooked the recipes, trying quantities, cooking times etc, so that every recipe would reproduce Abdel’s great cooking. The idea was also to include small personal stories, so there were those stories to collect. The publishing team not only oversaw the book production, but they were great marketers. Abdel had 500 copies printed, and in 3 months he had sold out and reordered another 500. 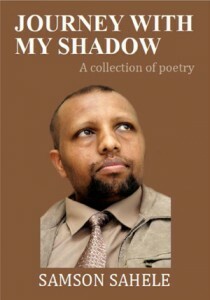 In 2011–2012, I worked with Samson Sahele on his collection of poems. Samson is a poet, journalist, teacher, and refugee advocate. He came to New Zealand from Ethiopia in 2000 and works for the Wellington Refugees as Survivors Trust. Samson asked me if I would edit his poems to publish in a collection. But it wasn’t just an editing job. It turned out to be a long journey together to discover what poetry was in Ethiopia, and how it was different from poetry in New Zealand. Samson had grown up with poetry that often talked about the big picture, in general ways. For us, the detail, the specific, is very important. But we didn’t know that we each had a very different view of poetry, so we talked past each other for quite a long time. Then one day it became clear. It was over a street scene that Samson described to me in wonderful detail. I said, Write it down just like that. So he wrote it down, and it all became large and general. At that point we started to talk about what had just happened, about poetry, and what each of us meant by poetry, and then we were on the way. Samson was clear that he was writing for New Zealanders. So detail was important. Poem by poem, line by line, we reconsidered, discussed, he wrote or rewrote. We were revisiting painful and difficult things for him, but he just kept at it. And finally he had a new collection ready to go to print. This project may have been about poetry, but for me it was also about having a window opened onto an extraordinary story of suffering and courage. Purple Dandelion is the autobiography of Farida Sultana, published in 2011. Farida is the founder of Shakti, an organisation set up to support ethnic women experiencing domestic violence, among other issues. She and Sheila Nair were writing Farida’s autobiography when the manuscript came to me to read. But like Samson Sahele’s book, this was no simple editing job. There were two big issues – how these women were going to tell this exceptional story, and how, given their extremely busy lives, they were going to find any time to work on it. At one stage they came to Wellington for a week and lived in a small very run-down cottage we had, where they had nothing to do except write. Every day we’d get together and go over what they had done, and talk about what was needed, and how it could be achieved. Over several years the book went through major rewriting several times. Finally Purple Dandelion was published by Exisle in 2011. In that year I chaired a session at the Auckland Writers’ Festival in which Farida and Sheila spoke. I knew this book so well, and for the three of us to talk about it frankly together in that public forum was a very moving thing. You can buy this book at www.exislepublishing.co.nz Part of the proceeds goes to promoting women’s refuges. The Crescent Moon: the Asian Face of Islam in New Zealand was a photographic exhibition as well as a book, which has taken me to Jakarta, Kuala Lumpur, and Penang. The Crescent Moon was an initiative of the Asia New Zealand Foundation, and was one of the most interesting projects I’ve been involved with. You can read about the publication under Books. The exhibition went on tour first in 2009 – in the next three years it was shown in nine New Zealand venues, and I went to a number of those to talk about the project. In 2013, it went to Jakarta. 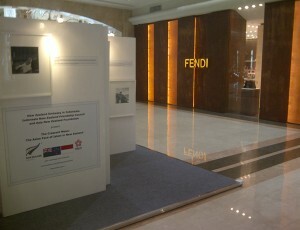 First it was shown at the State Islamic University, then in a very large shopping mall then in a contemporary gallery. I went to Jakarta for the opening at the university, and for a seminar about the exhibition. In 2014 it opened at the University of Malaya, where I attended the opening, and in 2015 in George Town, Penang, where I’ve written the text for a companion exhibition. Being involved in this project has made me acutely aware of how enormous and complex the Islamic world is, how astonishingly ignorant we in New Zealand (as in most of the West) are about Islam, and how our ignorance means that we buy into stereotypes promoted by the media all the time. There’s a huge challenge for us to become at least a bit more knowledgeable.